Found in Nature is a boutique custom floral studio located in Kansas City, MO, and serving the greater Kansas City metro area*. Our company was founded by owner and designer Rhae Adams in 2005. 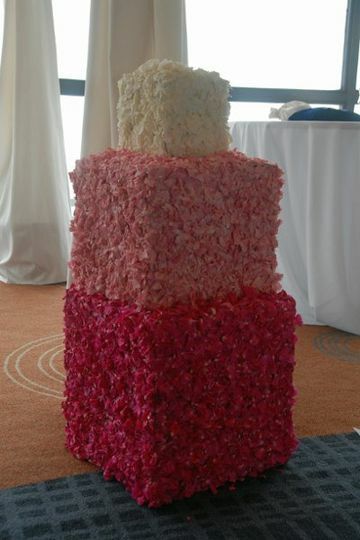 We are growing every year by providing outstanding service and florals that translate dreams into reality. 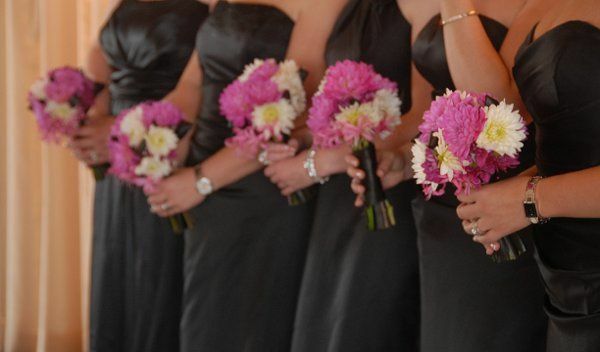 We pride ourselves in helping couples whatever those dreams may be - big or small, grand or simple, traditional or wild. Don't know what your dream is yet? That's normal. We enjoy working with couples to define their visions, and then execute those plans with care and passion. We do one wedding each week. 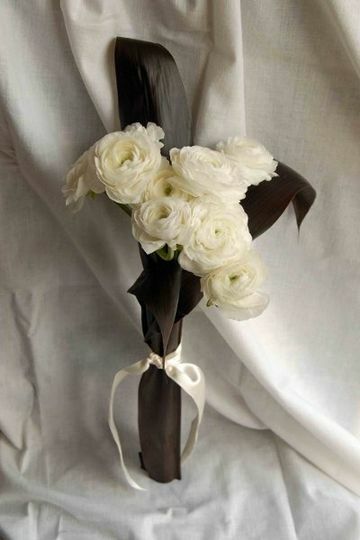 Your wedding should be as important to your florist as it is to you. 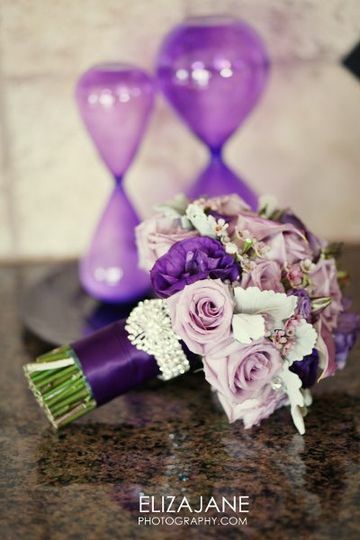 Our team will bring our passion for beautiful, unique florals and outstanding service to your day. 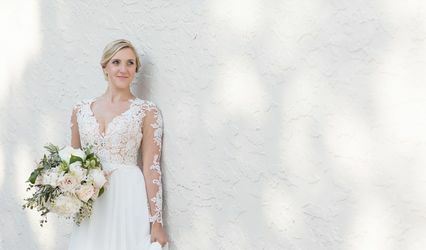 From free consults in a location convenient to you, to itemized bids so you understand where your money is going, to complimentary delivery and setup, our focus will be on serving you and honoring your wedding. It is our priviledge to be involved in your day, and we will treat it that way. *Not around KC? That's not a problem. We are happy to travel to your location for a reasonable fee. 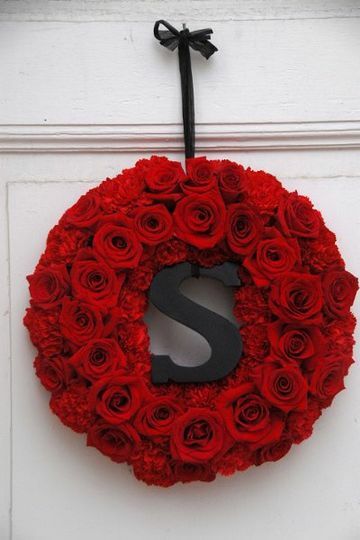 A wreath of red roses and carnations surround the couple&apos;s initial. 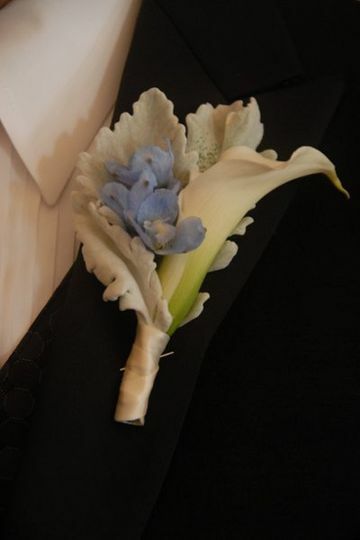 Groom&apos;s boutonniere of white calla, dusty miller leaves and blue delphinium. 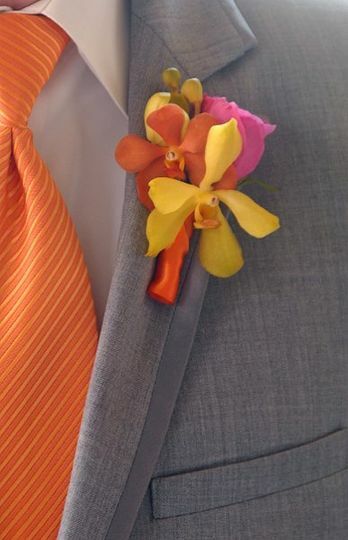 Groom&apos;s boutonniere of yellow and orange mokara orchids and pink spray roses. Absolutely LOVED working with Rhae. 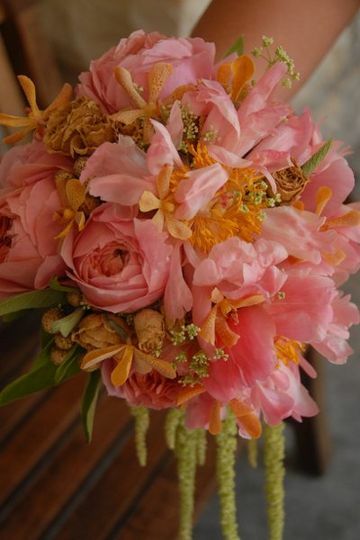 The flowers for my wedding were beyond gorgeous and everything I could have hoped for. We did DIY floral for our centerpieces and Rhae was incredibly helpful in ordering helping us prep. 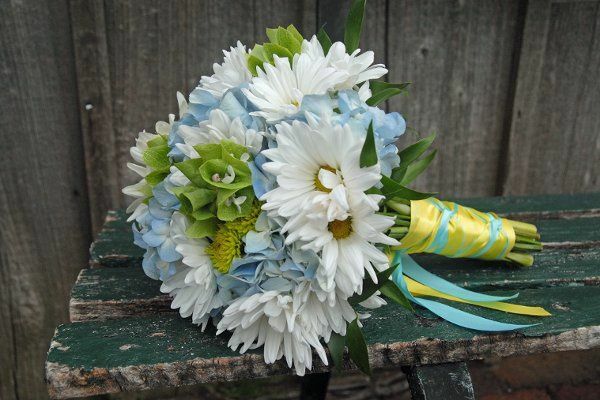 If you want beautiful floral work, a responsive and insightful florist, and reasonable prices look no further! Rhae did a fantastic job on our wedding flowers! I visited several florists before going here, and Rhae's consult was by far the best. She asked lots of questions and got a very clear idea of what we wanted, then showed pictures of exactly what each flower looked like and all the different color options they came in. It was a little overwhelming but she walked us through every step and in the end we got exactly what we wanted! 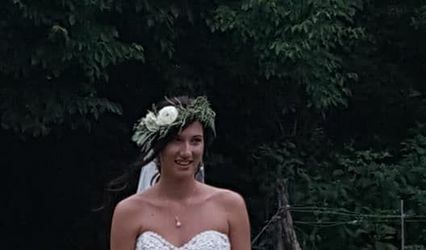 Her prices are way better than anywhere else I looked, and she even let us order bulk garlands for our centerpieces and arrange them ourselves for a discounted price. We are very happy with our experience! Rhae did an amazing job with our flowers. Everything from centerpieces, to bouquets and boutonnieres were as beautiful as I imagined. Not only that, but on our wedding day she was so incredibly helpful. We had a delay with getting our tablecloths delivered, which meant that there was a bit of a scramble to get the centerpieces put together on the table. Rhae went above and beyond and helped my mom and my aunts put the tablecloths on, get all of the centerpieces set up, including all of the votive candles onto the tables. From our very first meeting with us she was very personable and professional and understood what I was looking for and delivered everything perfectly. 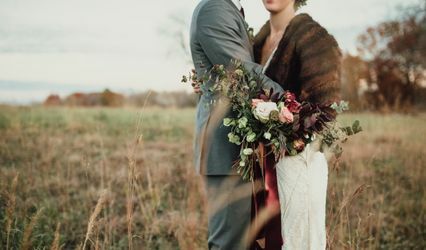 I would definitely recommend Found in Nature to anyone looking for a florist for their wedding day.